Not much. The room was clean and had an area to prepare meals. For the time of year we were in Tokyo (Peak Cherry blossom), I realise that the price we paid was quite fair. They gave us extra pillows and blankets when we asked for them. The staff were really lovely. Location is good and cost friendly. Kitchenette within the room. Helpful staff. Seamless check-in and check-out. Less than 5 minutes from the Ginza subway line. Friendly staff. They speak English, Japanese, and Chinese. Good location. 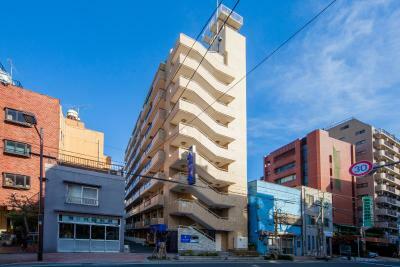 location, access to the train is only 5 mins walk and surrounded by convenience stores, cafes.. Very convenient. Near from train station. Clean and comfortable. 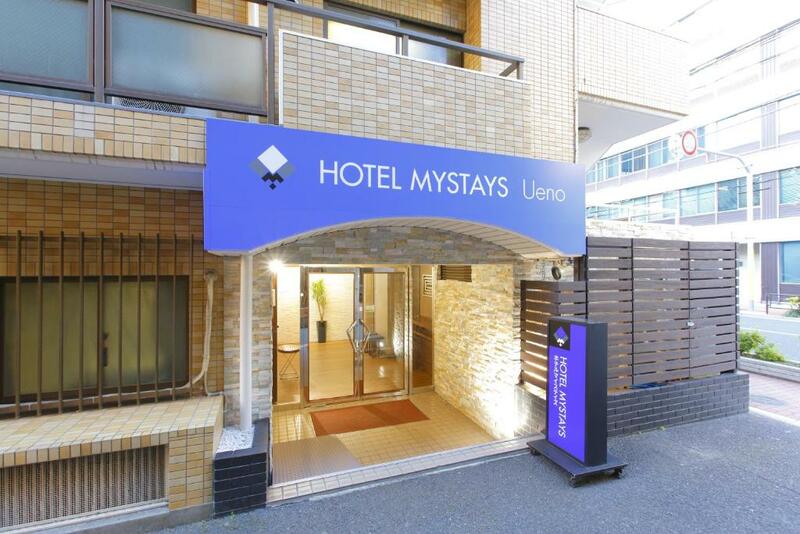 HOTEL MYSTAYS Ueno Inaricho This rating is a reflection of how the property compares to the industry standard when it comes to price, facilities and services available. It's based on a self-evaluation by the property. Use this rating to help choose your stay! One of our best sellers in Tokyo! 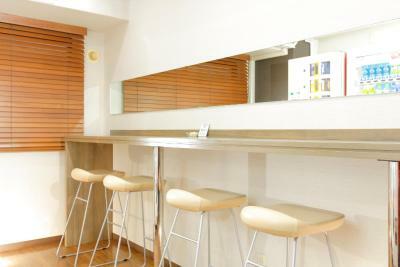 HOTEL MYSTAYS Ueno Inaricho is just a 4-minute walk from Inaricho Subway Station on the Tokyo Metro Ginza Line. It offers self-contained studios with a kitchenette and private bathroom. 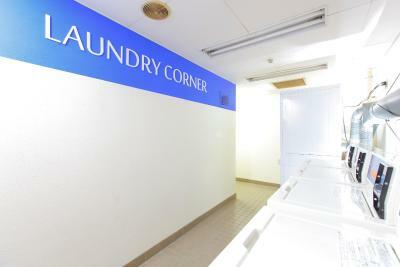 A 24-hour launderette is available. Free WiFi is available in all areas. The cozy air-conditioned rooms include a flat-screen TV with pay-per-view channels. 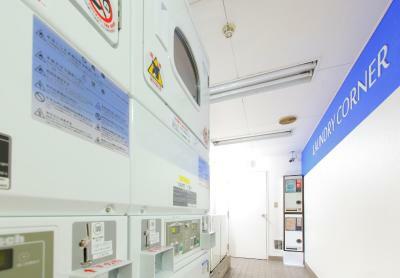 Each guest room has a kitchenette with a refrigerator, electric kettle and microwave. A memory foam pillow and nightwear is provided. 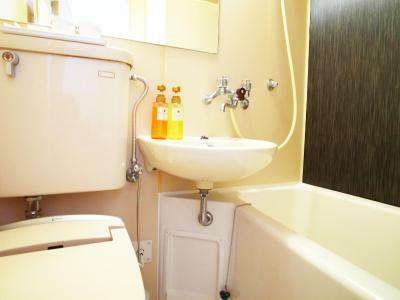 A private bathroom comes with a bathtub, toothbrushes and hairdryer. Fax/photocopying and luggage storage services are available at reception from 08:00-22:00. You will find drinks vending machines on site. Rental air purifier, trouser press and ironing items are available. 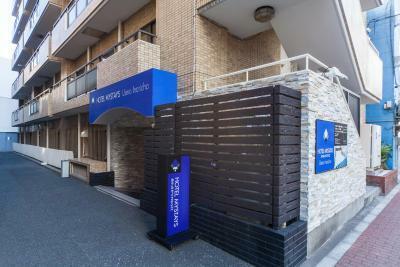 HOTEL MYSTAYS Ueno Inaricho is a 10-minute walk from JR Ueno Train Station and a 15-minute walk from Keisei Ueno Train Station. The historic Asakusa area is just 2 subway stops from nearby Inaricho Station, while Ginza and Nihonbashi are less than 15 minutes away by subway. When would you like to stay at HOTEL MYSTAYS Ueno Inaricho? This cozy air-conditioned room include a flat-screen TV, a refrigerator and microwave. The room features 1 small-double size bed (47 in wide). This cozy air-conditioned room include a flat-screen TV, a refrigerator and microwave. Features 1 small-double size bed (47 in wide). This family room has a kitchenette, air conditioning and microwave. Rate includes 2 rooms located next to each other. Each room features 1 small double bed (47 in wide). This family room has a microwave, kitchenette and air conditioning. 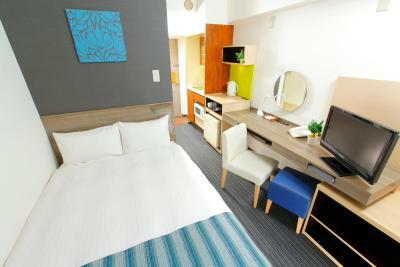 This single room features a microwave, air conditioning and kitchenette. 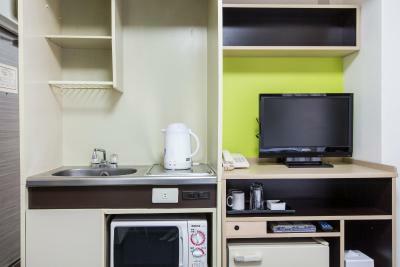 This single room features a flat-screen TV, kitchenette and microwave. 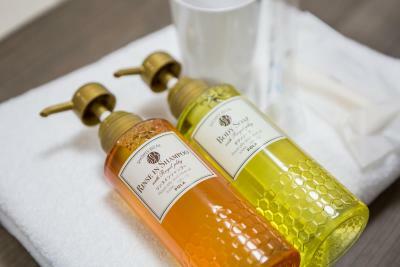 House Rules HOTEL MYSTAYS Ueno Inaricho takes special requests – add in the next step! 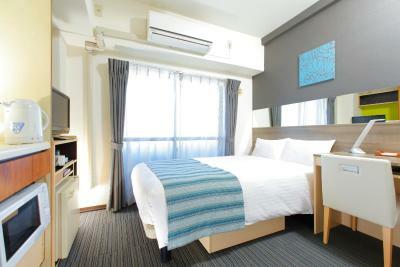 HOTEL MYSTAYS Ueno Inaricho accepts these cards and reserves the right to temporarily hold an amount prior to arrival. - Please note, the credit card that was used to guarantee the reservation will be charged with applicable cancelation charges in the event of cancelation after the cancelation deadline. 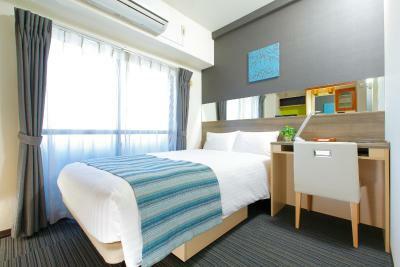 - The full amount of the reservation must be paid at check-in. - Fax/photocopying and luggage storage services are available at the reception from 8:00 - 22:00. Guests arriving early may store their luggage until check-in time. - Please note that when staying for consecutive nights, room cleaning, bed making and bathroom cleaning services are not provided. - There are no twin rooms at this property. Extra beds cannot be accommodated in any room type. 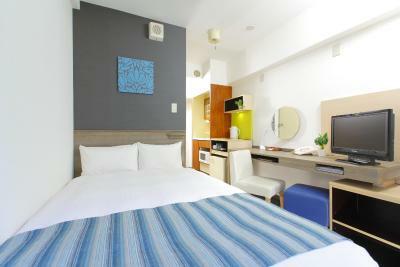 - All economy double rooms with small double bed are smoking rooms, and nonsmoking preference can not be accommodated. 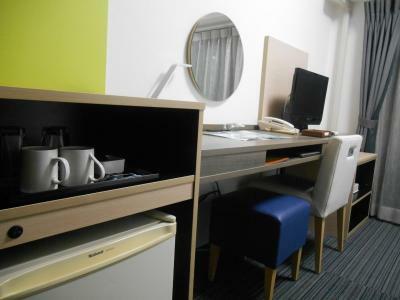 - Guests need to book standard double rooms with small double bed if they wish to stay in nonsmoking rooms. 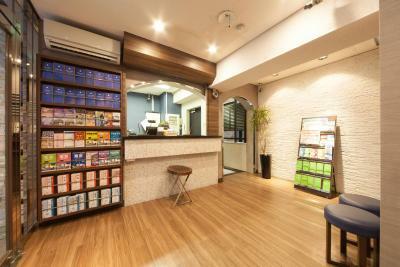 - When booking 10 rooms or more, different policies and additional supplements may apply. Please contact the property directly for more details. - Please present the booking confirmation to the front desk at time of check-in. - Guests arriving after check-in hours (22:00) must inform the property in advance. Contact details can be found on the booking confirmation. Please note, neighboring buildings will be under construction from 07 January 2019 until 28 July 2020. Guests may experience some noise or light disturbances between 08:00 and 18:00. Very minimal basic lodging. Not convenient to the rail station. Might be OK for a business trip, but not for tourists trying to enjoy Japan, unless on a tight budget. The beds were very narrow so we didn't sleep very well - they are not really suitable for two full sized adults! The duvets were also rather annoying. Room is a little bit dusty. No cleaning service for your entire stay (notified by hotel staff). Receptionist Kazuki was exceptionally helpful in sorting my next accomodation & in forwarding my luggage. 5⭐️service . Very small rooms, no room service, the rooms are very cold, the windows are not very good closing, there are blurry windows not even normal ones. The air conditioning put on “warm” ist directly over the bed, so that you may have problems because of its loudness. The staff was really nice and helpful. as I needed another blanket (in my room it was much too cold because of the windows) they brought me it very quick. Beddings are not new. The sheets are kinda dirty. As well as the carpet. That we were given a room on the 1st floor. room is so small, it seems its an old establishment already. There was extremely noisy construction work from 8AM to 5PM. The amenities worked but everything is old and a bit cramped. The wall beside the bed was dirty. The fridge stank so much I almost puked. There was construction beside the hotel (not their fault, but when trying to get over travel related fatigue with a napit was unwelcome). The room needed detailing... small things like vents had dust bunnies, et al. I book for non-smoking room, but the room is next to pantry, sometimes there are cigarette smell in my room. Not a negative, but travelers need to be aware of the room size (in m^2) otherwise they maybe surprised when you arrive. This is mainly for first time Tokyo travelers.